At the intersection of language industry, policy and education. 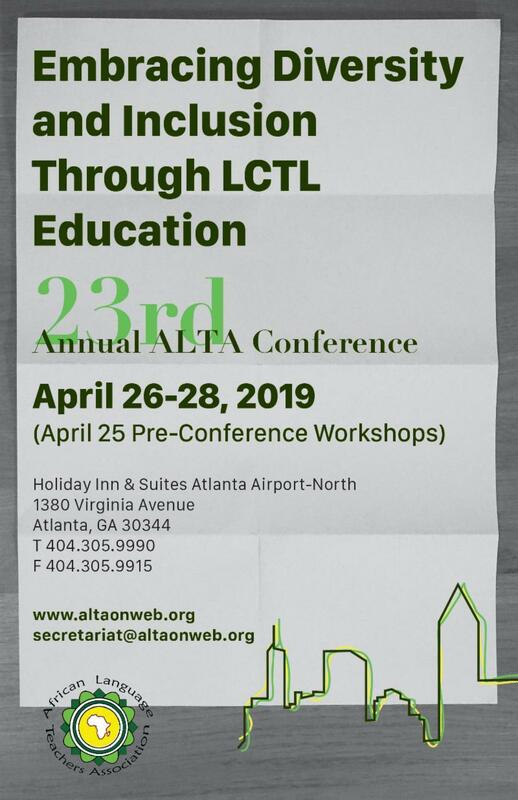 CORRECTION: The 22nd Annual International Conference of the National Council of Less Commonly Taught Languages (NCOLCTL) and the 23rd Annual International Conference of the African Language Teachers Association (ALTA) will take place in Atlanta, GA on April 26-28, 2019. JNCL-NCLIS previously reported that the conference was in Virginia. 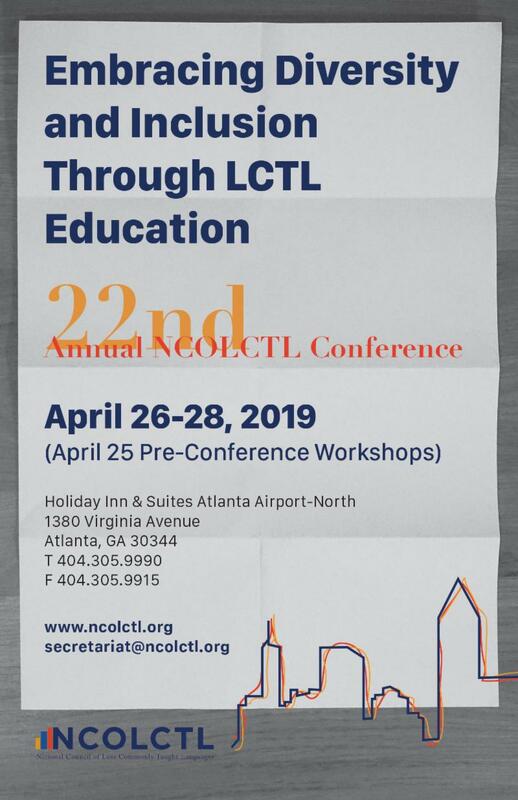 The 22nd Annual International Conference of the National Council of Less Commonly Taught Languages (NCOLCTL) and the 23rd Annual International Conference of the African Language Teachers Association (ALTA) will be held on April 26th-28th, 2019 at the Holiday Inn & Suites Atlanta Airport-North, in Atlanta, GA. This conference brings together scholars, theorists, practitioners, and employers concerned about the world of less-commonly taught languages (LCTLs). Besides the many teachers of languages and other professionals, the conference attracts a substantial number of exhibitors who come to display the work they are doing in the name of various LCTLs along with various recruiters interested in LCTL professionals. These include national language centers; publishers of language textbooks and multimedia materials; and academic, government, and business institutions that rely on LCTL speakers. Go to their website to learn more about the event and registration. Have an announcement you want to share with the community? Email us. Disclaimer: The purpose of this newsletter is to disseminate news and announcements related to world languages, international studies, the language industry, and related areas. We strive to present a variety of sources, both positive and negative. The items contained herein do not necessarily represent the opinion or position of JNCL-NCLIS, its board or staff, its organizational members, or its affiliates.